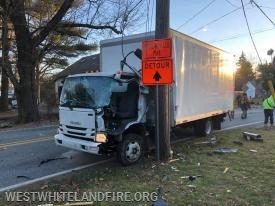 The West Whiteland Fire Company is a 100% volunteer fire company located in Exton, Pennsylvania that provides fire protection and related services, community education, and fire prevention measures to the residents, businesses, schools, and commuters in West Whiteland Township. Our firefighters have been continuously serving the residents of West Whiteland since 1953, providing the community with experienced, dedicated, professional firefighters, capable of handling all types of fires and fire-related emergencies. 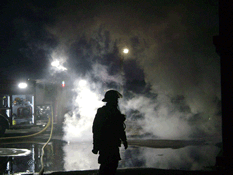 As a volunteer fire company, our members include your friends, family, and neighbors, all of whom spend a significant amount of time protecting and serving the Community. 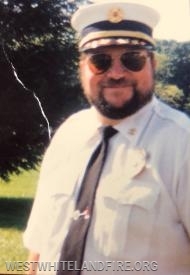 It is with great sadness that the West Whiteland Fire Company announces the passing of Life Member, active Board of Director and Past Fire Chief Dave Jones. Dave served in the company for 57 years holding various offices such as an administrator and Fire Chief from 1986 to 1993. He was the President of the Main Line Chiefs Association. 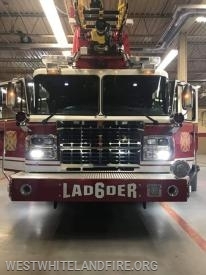 The West Whiteland Fire Company is proud to announce that Ladder 6 is now in service! 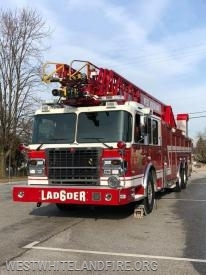 We look forward to serving the community for many years to come with this piece of apparatus. 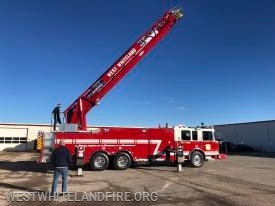 This evening, the West Whiteland Fire Company took delivery of our new 105ʼ Spartan/Smeal aerial device, Ladder 6!